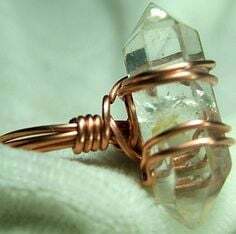 If you have a basic idea about wire wrapping, then the following DIY finger jewelry craft works will surely impress you. As your fingers do a lot for you right from finishing up your daily chores to meeting your professional needs, decking them with artistic rings adds a final touch to your nail art. 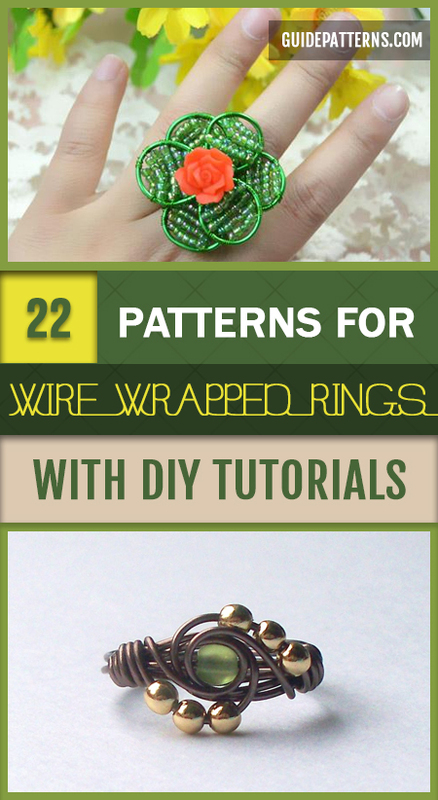 Just go ahead and see how you can make jazzy rings using metal wires and look all peachy for the impending winter parties. 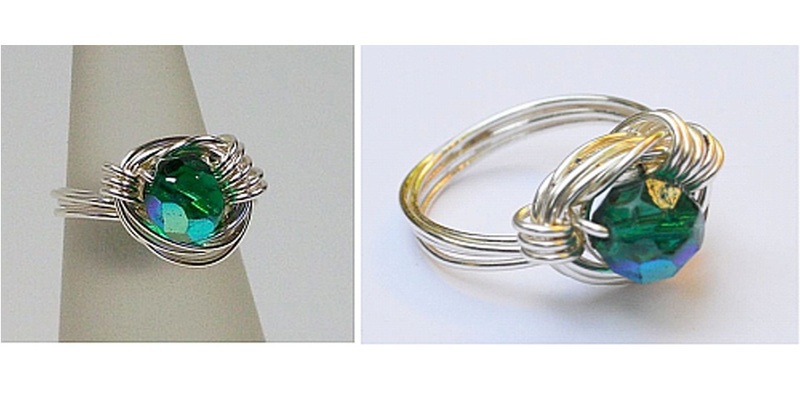 Gemstones are the current rage this cool, breezy season. 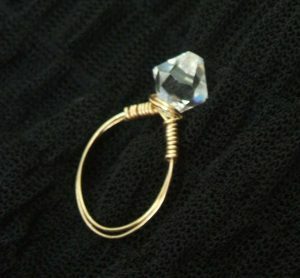 So why not consider trimming off few silver or gold-fill gauge wires for a sophisticated DIY jewelry creation. Indeed a show stopper, the heart-shaped ring is the ultimate surprise gift you can present to your better half on a dinner date. 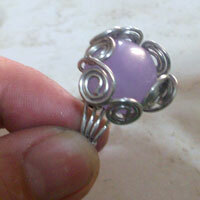 Follow the link to know how to string the tiny beads with a sterling silver wire. 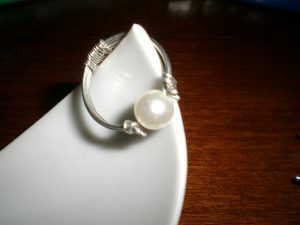 Bet you will have a gala time doing the jewelry-making craft from start to finish. 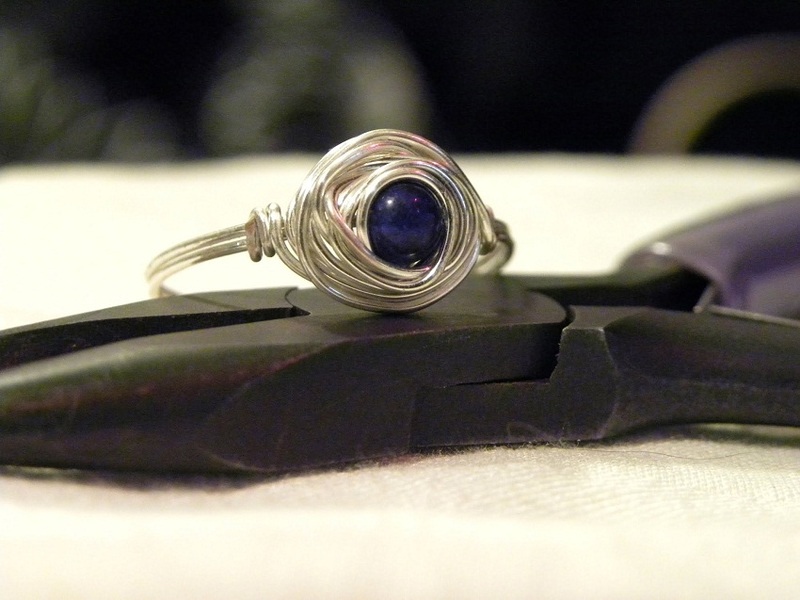 Take few more shots at designing a statement ring with scores of artificial gleaming stones. Every woman dreams of owning a diamond ring that stands as a symbolic expression of beauty and earthiness. As diamonds come with a hefty price tag, you can create a lookalike with a chic swarovski crystal hitting the right fashion notes. Upgrade your jewelry box with a white pearl ring fashionably designed in a way that makes a plush accompaniment to your casual and formal outfits. 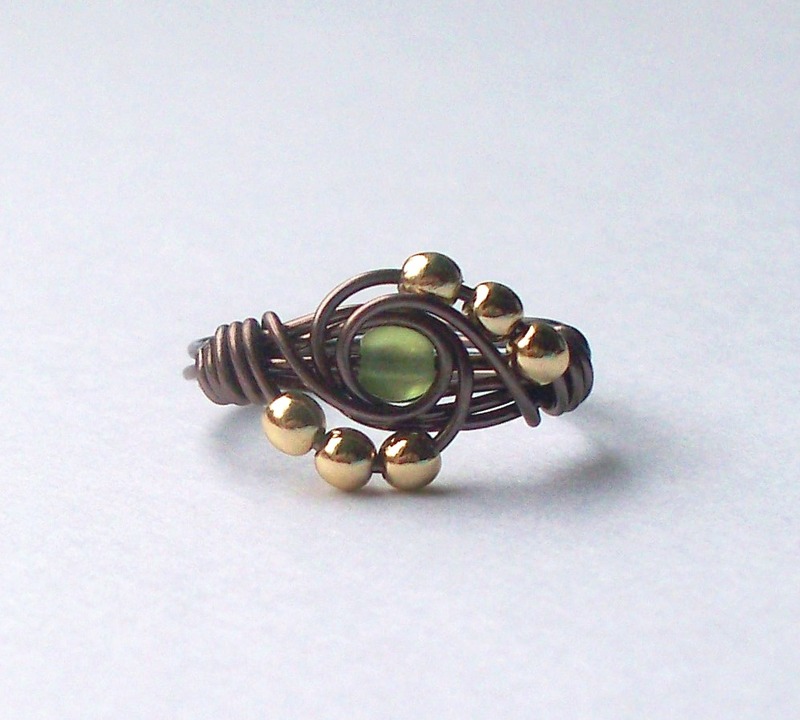 Astonishingly, the trendy spiral wire wrapped ring is made from a simple bead adorning your long fingers. Pick it up for any occasion and see the compliments pouring. 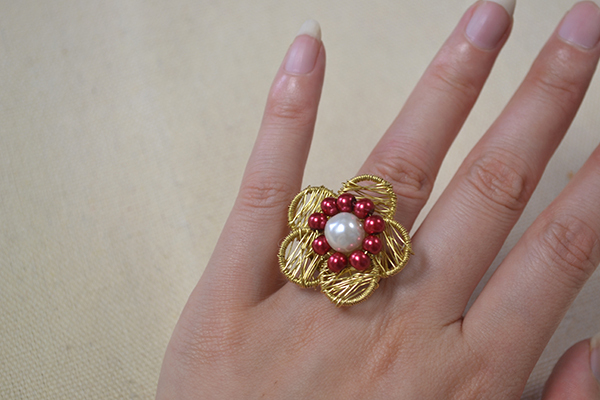 With a contemporary design, the swanky finger ring adds a bit of novelty to your wide collection of accessories. Wait till you start patting your back for the superior craftsmanship. 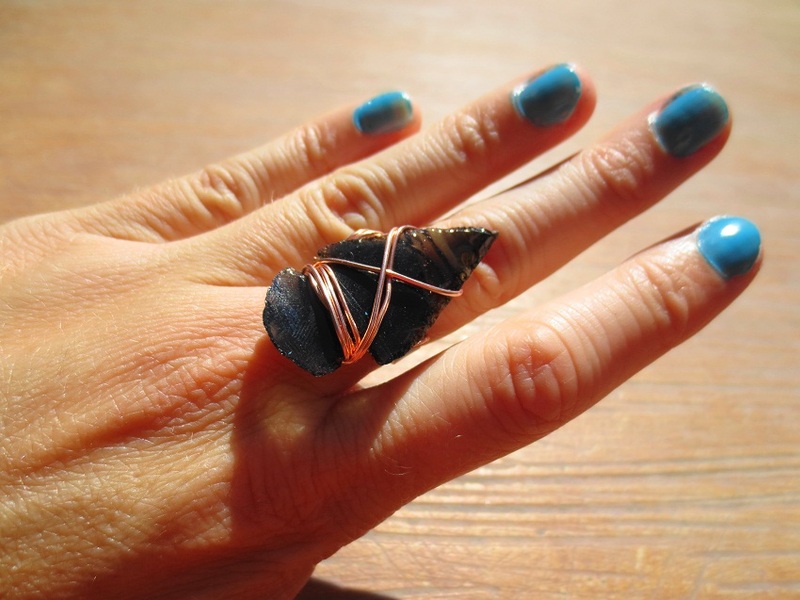 An obsidian arrowhead wired to a ring makes a classy customized gift for your girl pals. 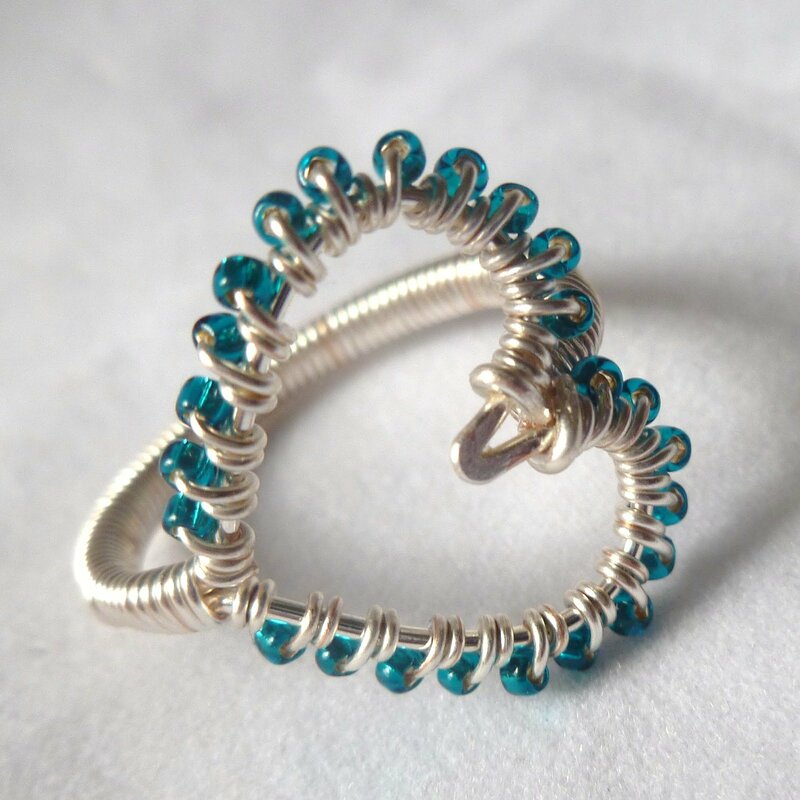 Paint your nails all blue to complement the enchanting effect of this statement ring. 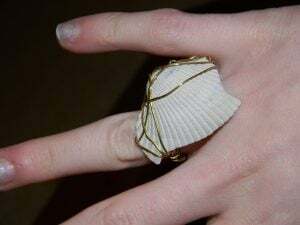 Grab a cabochon stone, trim off its shank, and glue it to the ring back to create this awe-inspiring fashion accessory for glamorizing your ring finger. While blue titanium druzy quartz stone has a fine detailing with a shiny effect, you can go for sterling silver or copper following the same wire wrapping technique to whip up a ring that comfortably fits into the finger. 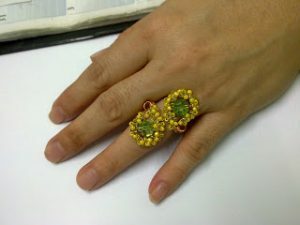 The stunning charm of the rose ring with green beaded leaves blends with the vibrancy of spring, adding myriad floral colors to your wardrobe. The marvelous luster and depth of the white pearl surrounded by mini red pearls sitting on the wire wrapped flower ring meets the standards of any pearl finger accessory available in the stores. Another quirky ring, making all the way around to your finger, completing your look. 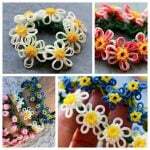 A variety of colored beads in different designs can be used to make it more customizable. 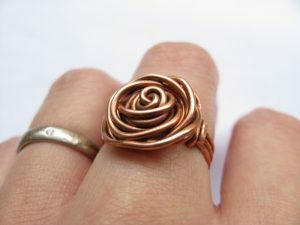 Once you get a hang of wire wrapping, it won’t be difficult to make this gorgeous rose ring clasped to your finger, adding a pop of sparkle. 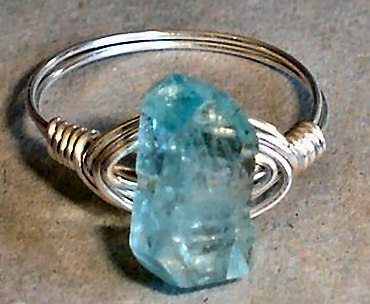 Although a faux stone, the wire wrapping pattern is unique enough to make anyone believe the ring to be a newly bought one donning a pure gemstone. 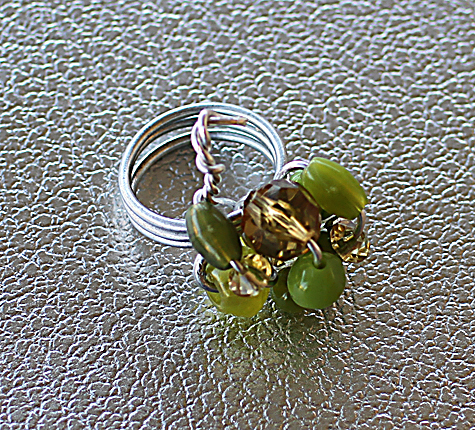 Few colorful beads turned into a ring presenting a two-toned effect for a modest twist. 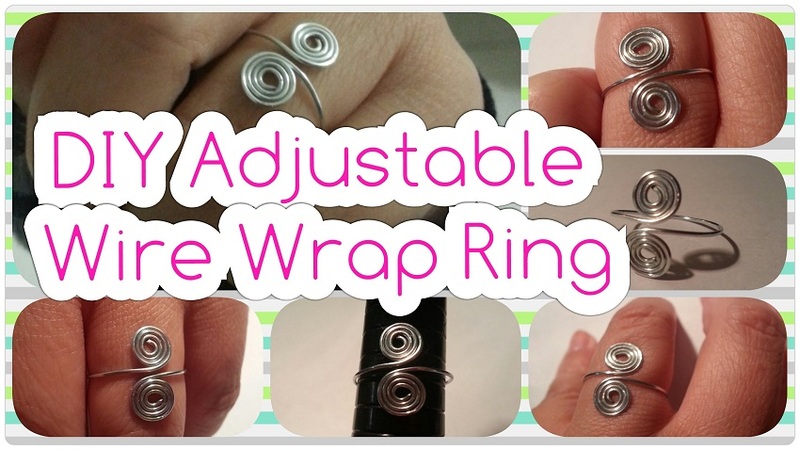 Wouldn’t this be the absolute complement to your signature style? 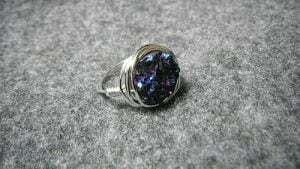 Look like a modern diva with a royal blue stone without undergoing any special glam up session. The elements used in the making are easily available that gives it the original beauty glaze. A slight deviation from most fashion-forward rings, this finger accessory effortlessly makes a powerful impact. 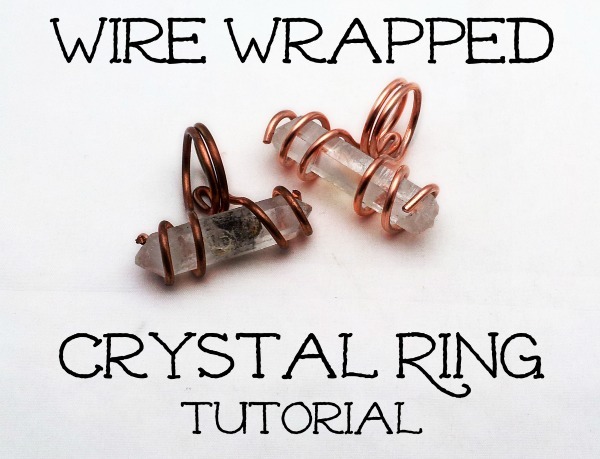 Of course, you can swap the rustic crystals with chic boho stones. 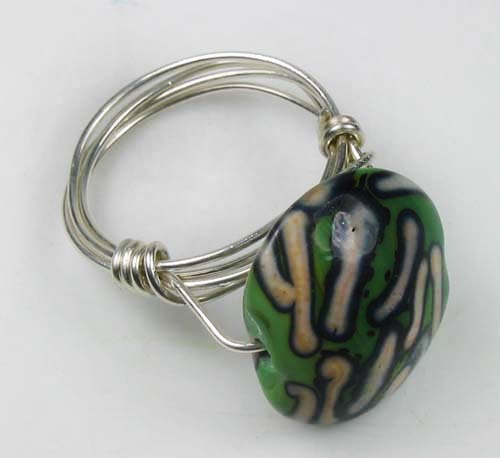 Twisted and turned an ordinary silver gauge wire transformed into a funky ring. 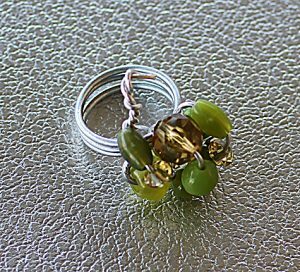 Without a gemstone, it gleams, bedazzling your entire look. Minimalist rings give a little treat to the fingers with a glamorous bang making you stand out in the crowd. 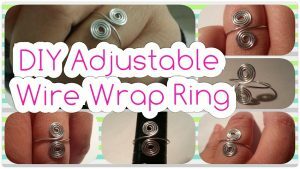 You only have to invest in some inexpensive stuff and master the art of wrapping wires to fill your jewelry drawer with a plethora of DIY rings. 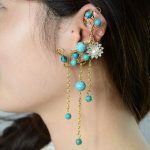 Moreover, you can use the same technique to create earrings and necklaces. 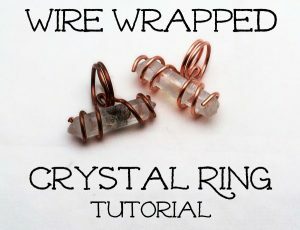 Love your free wire tutorials! Thanks a lot Kim.You can have a look at the other wire crafts on our website. Thank you for the tutorials! I just started making rings with copper wire & this was very helpful!